World Class I.T. & Cloud Solutions Delivered Locally. SkyConnect is a wireless internet connection that does not require a phone line and offers faster uplink speeds than DSL. It does require a line-of-sight radio path from your building to one of our towers. Ask us for a free sight survey to determine if your location can be served via SkyConnect. Prices vary by coverage area. Contact us today. We can map your address to determine expected availability, speeds, and an accurate custom quote. Tip! 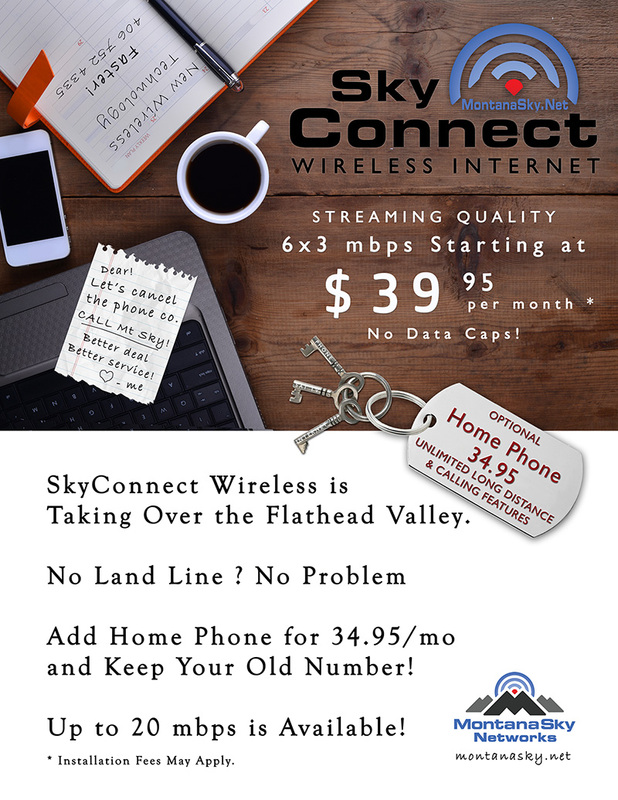 If you can see the SkyConnect towers at Lonepine Park in Kalispell, or at Western Building Center in Columbia Falls, Ashley Lake, Whitefish Lake, Bootjack Lake Areas. ... chances are that you can get SkyConnect Internet. 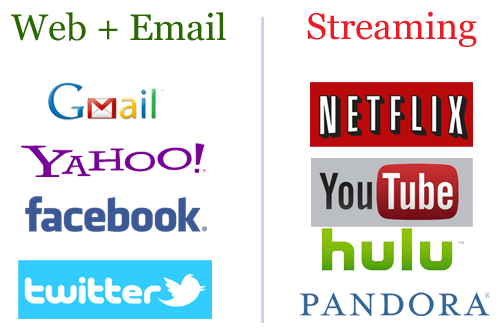 Our SkyConnect footprint keeps growing. Contact Us for a FREE Site Survey. * VOIP (Voice Over IP) Phone Service available with free long distance and number portability for 34.95/month. After locating a suitable line-of-sight to the transmitting radio, the certified MontanaSky installer will mount the outdoor unit (SkyConnect antenna) using various methods and mounts. The outdoor unit can either be wall mounted or gable end or roof mounted. 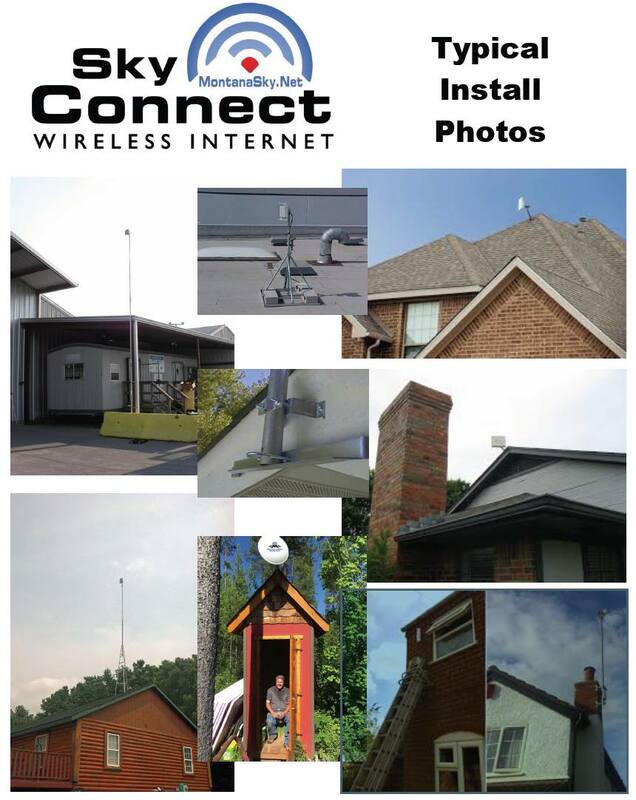 The installer will align the antenna to achieve optimal signal reception. The installer will run up to 150' of approved cable. The installer will supply and install the necessary ground block on the exterior of the home or building, which will then be properly grounded according to local regulations. The installer will seal all exterior holes and use drip loops on all exterior cables. The installer will connect the cables to Sky Connect equipment and perform the required steps to activate the service. Finally, the installer will test the system with the customer's PC to ensure the signal strength is working at its expected service level and Internet browsing is functioning. Standard Circuits are available where there is a phone line OR a line-of-sight to one of our SkyConnect towers. Our Fiber Optics and Radio Tower foot print is expanding rapidly. Please contact us to find out if the following speeds are available in your area.